Understanding of how the Food safety management system operates by senior leadership and personnel. Personnel training. Practice shows that the FSMS Manual is often the only source of knowledge about the operation of the Food safety management system for certain categories of personnel, including senior leadership. The organization may find feasible to make the FSMS Manual the only documented procedure for the Food safety management system. The proposed FSMS manual allows this. The Food safety management system manual can be provided to interested parties to demonstrate the effectiveness of the organization's Food safety management system. Section on addressing risks and opportunities were developed considering the requirements of ISO 31001:2009 Risk management. This facilitates the task of risk management integration with other standard management systems, including ISO 9001:2015. The manual provides easy integration with the Quality management system in accordance with ISO 9001:2015 and the Environmental management system in accordance with ISO 14001:2015. Our template is more than just a sample. 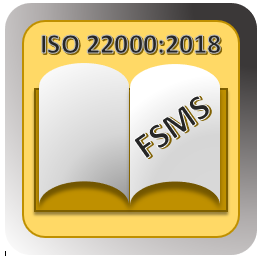 Easily customize our template and you'll instantly have your entire and complete ISO 22000:2018 FSMS Manual for your company. Our template gives you an ideal starting point and jumpstart for your ISO 22000:2018 FSMS implementation. With a good template, you can reach ISO 22000 FSMS certification quickly, easily and - very important - inexpensively.